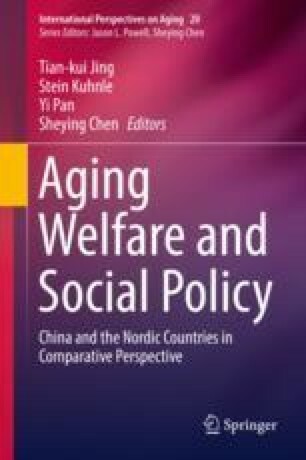 Ageing welfare is a key feature of advanced modern societies, and the idea of a generational contract is often invoked by academics as well as policy makers. Nevertheless, old age and social rights do not easily sit well together. Not even in Sweden, where already in 1913 its Parliament enact the world’s first public universalistic contributory retirement programme which explicitly declared that the state pension was a social right for all and everybody belonging to this nation or imagined community to which those living there also had duties and obligations. A decade earlier this common pool resource extraction approach had already been pursued in neighbouring Denmark at the level of local government, and Sweden took a step further by implementing a nationally institutionalized compulsory savings programme. Thus, the duty to care for its elderly citizens has for more than a century been a significant feature of the welfare model of the Far North of Europe. Somewhat later, neighbouring Finland and Norway followed suit. What about the prospects for twenty-first century ageing welfare—in Sweden and the Far North? This is the topic for the present article: the challenges faced by Swedish social policy and its welfare state regarding existing insecurities and precariousness among the elderly, and the possibility for public agencies to provide adequate, substantial and sustainable benefits and services—from pensions to health care and other social provisions including housing and home help—for those who have left the working population and reached retirement age. In policy making there are always conflicts over tax-financed priorities, opportunities as well as restrictions. So is also the case in an orderly and organized advanced imagined community such as Sweden where both local authorities and central government have legal responsibility for a life in decency and dignity for its inhabitants. An overview of current actors and issues at stake will be offered in the context of comparative cross-national welfare state research.